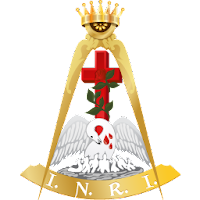 Lawrence Chapter of Rose Croix will perform the Feast of the Paschal Lamb. The Feast is the Valley's memorial service for all brothers who have departed to the Celestial Lodge above in the last two years. We will again be performing this solemn ceremony in the Overlook Performing Arts Center. Please come out to celebrate the lives of our dear, departed brethren. The Overlook is located at 88 Masonic Home Rd, Charlton MA.